Ray McCallum will continue his career in USA. 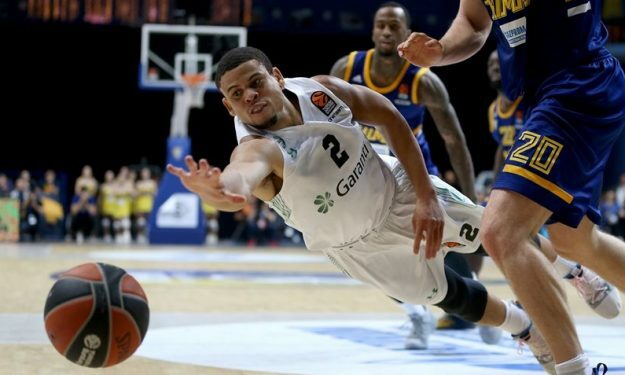 Ray McCallum signed a contract with the Agua Caliente Clippers (the L.A. Clippers‘ affiliate team) in G-League after parting ways with Turkish EuroLeague club Darussafaka Tekfen. Per Adam Johnson, Detroit Pistons‘ affiliate Grand Rapid Drives owned McCallum’s G-League rights but they traded them to the Clippers. The G-League announced that McCallum is back at the championship. McCallum was officially released by Darussafaka earlier this month. According to Dacka head coach Selcuk Ernak, the club decided to proceed without the American guard in order to make more room for the use of Turkish guys. In 16 EuroLeague games with Dacka, McCallum averaged 9.4 points, 4.1 rebounds and 3.7 assists over 22:02 minutes.